Super concentrated - add to 20 to 50 parts water. Keeps your car cleaner longer with natural bio polymers. Keeps your car shiny & dust free for long periods. Windshield fluid additive for high performance cleaning. Armor All<sup></sup> Extreme Glass Cleaner utilizes innovative polishing agents within the foam to help remove the toughest dirt, bugs, water spots and road grime from your glass surface. The result is crystal clear visibility for improved driving safety. Foaming formula allows for precise application on your cars interior or exterior glass surfaces, keeping other areas of the car untouched. For generations, the Armor All<sup></sup> brand has been a pioneer in tire care, offering trusted products that enhance, protect, and preserve your tires natural beauty. With 50% more gloss enhancers than our original formula, Fierce Shine<sup></sup> Tire Foam<sup></sup> Protectant delivers a rich deep black look, plus even more shine. You can see it working as the intense foaming action powers through tough dirt and grime, leaving a smooth, high-gloss shine. Baked on dirt and brake dust can be difficult to remove from your wheels. Armor All Quicksilver Tire and Rim Cleaner works hard to remove stubborn soils so you dont have to scrub. This advanced formula generates a thick, foaming layer that blankets and sticks to the tire and rim surface, allowing it time to help loosen and remove tough brake dust, dirt and road grime. 2L, Industrial Strength, Non-Toxic Auto Wash & Shine Oil Lift Auto Wash & Shine was developed to keep your vehicle cleaner longer with its unique bio-polymer micro wax additive. This product delivers a streak free shine, easily penetrating and breaking down road grime, brake dust, road tars and many other external contaminates. 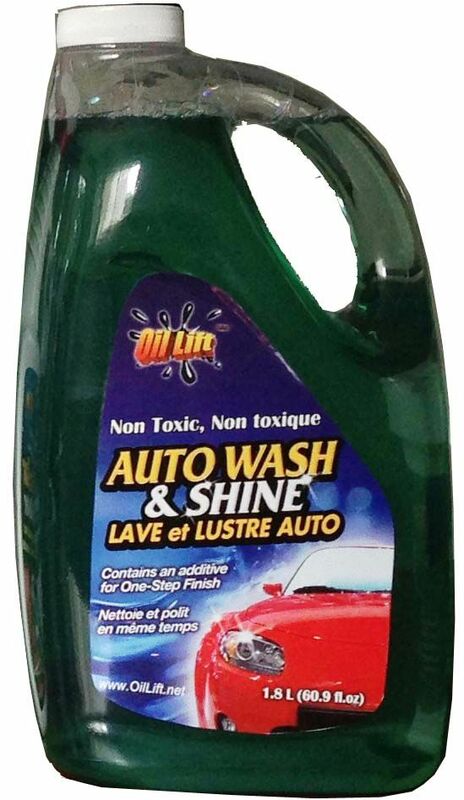 Oil Lift Auto Wash & Shine delivers better cleaning results that last longer. Our super concentrated formula is more economical and environmentally friendly through the utilization of plant based ingredients. Use Oil Lift Auto Wash & Shine to give your vehicle an enhanced long lasting clean.